Also refered to as leukocytes, white blood cells make up 1% of the total blood volume and play an important role of defending the body against infectious agents (virus, bacteria, etc), foreign invaders and infected or cancerous cells. 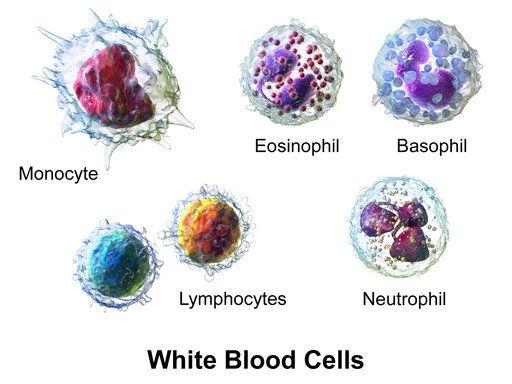 White blood cells are divided into two main groups that include granulocytes (neutrophils, eosinophils basophils and mast cells) and mononuclear leukocytes (lymphocytes, monocytes, macrophages and dendritic cells). The different types of white blood cells are specialized to respond to infectious agents or foreign invaders in specific ways thus preventing further spread and infection. Given that all white blood cells are over 5 micrometers in diameter, they are large enough to be seen using a typical optical microscope (compound microscope). Staining with Leishman’s stain makes it possible to not only easily identify different types of leukocytes, but also count them. This makes it one of the most ideal stains for a differential count of white blood cells. * Leishman's stain is a Romanovsky stain that consists of Eosin and Methylene blue dissolved in methanol. When viewed under the microscope, the smear will show different types of leukocytes as well as red cells. Students will be able to differentiate white blood cells based on their shape and nucleus. * Neutrophils are often first responders during infection. Death of many neutrophils form pus. Eosinophils - Compared to neutrophils that may have 2 to 5 lobed nucleus, eosinophils only have a bi-lobed (two lobes) nucleus that is shaped like a horse-shoe. They will also appear spherical in shape with fine granules refered to as acidophilic refractive granules. Basophils - Compared to the other granulocytes, basophils have a large and irregular nucleus that resides inside the spherical shaped cell. Whereas the nucleus of the other granulocytes are well defined and can be clearly described, the nucleus of a basophil (bluish under the microscope) is large and irregular inside the cell and may prove difficult for students to describe. Mast Cells - If present, mast cells are spherical with a large central nucleus and more granules compared to basophils. Neutrophils, eosinophils, basophils and mast cells are granulocytes. The presence of granules in these cells distinguishes them from agranulocytes that lack granules. Lymphocytes - While they are smaller compared to other leukocytes, lymphocytes have a large round nucleus that takes up much of the cell volume. As a result, lymphocytes have very little to no cytoplasm. Monocytes - Compared to lymphocytes (agranular leukocytes) monocytes are larger in size with a nucleus that is bean or kidney shaped. These cells also have more cytoplasm compared to lymphocytes. Counting white blood cells is of great clinical significance because it contributes to the diagnosis of various diseases. This can either be achieved manually or automatically. Manual count of white blood cells has been shown to have several disadvantages that include being prone to error and being time consuming. For this method, students can count the cells on a blood smear (slide) or by using a hemocytometer mounted on a compound microscope. For the smears, white cells are simply counted by scanning several regions of the smear. Here, students can count the number of different types of white blood cells on different regions and calculate the total percentages of each type of leukocyte. 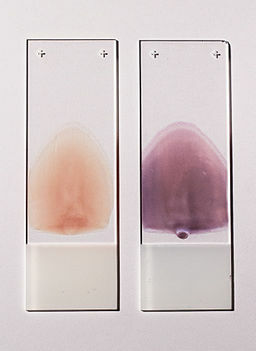 Apart from using a blood smear, a hemocytometer can also be used. A hemocytometer is a special counting chamber with square ruled areas that makes it easier to count cells. While the chamber is divided into 9 square areas, only 4 (at the four corners of the chamber) of these are used for counting white blood cells. For this method, the grid is scanned for white blood cells that are identified and counted to calculate their respective percentages. * Although it is possible to count white cells under the microscope directly, students can also capture the images using a digital camera and scan through the images to count the numbers of white cells. With manual counting, inaccuracies occur due to counting errors (human error) and due to the fact that white cells may not be uniformly distributed across the smear. These issues are addressed by using flow cytometry. For this technique, red blood cells have to be removed from blood because they are contaminants. This is achieved using ammonium chloride solutions for lysing the red cells. To purify agranulocytes only (peripheral blood mononuclear cells- PBMC) students can use the density gradient procedure, which may involve using Ficoll-Paque PLUS or Histopaque-1077. However, this is not mandatory. * Isolation and purification of PBMC involves mixing either solution with the blood sample, separation of the cells using a centrifuge and washing the cells using PBS. To count the number of white blood cells, a cell suspension flows through electronic detectors to quantify different properties detected thus allowing for different types of white blood cells to be counted. Here, the suspension is made to create a laminar flow that makes it possible for individual cells to pass through an interrogation point. The cells are intersected by a beam of monochromatic light at the interrogation point which allows for light to be emitted in different directions. The light then emits signals that are collected and analyzed to give the readings. * While this is a more reliable technique for counting white cells, it has a disadvantage in that one cannot determine the shape or morphology of the cells. For this reason, it's impossible to determine whether the cells are damaged or not. In a healthy human adult, the normal count/numbers of white blood cells ranges from about 4,500 to 11,000 cells per micro liter of blood. However, the numbers of different types of white blood cells vary. The numbers/count of these leukocytes can change to increasingly (abnormally) high or low numbers. In a clinical setting, this is indicative that something is wrong and can help with diagnosis. Neutrophils - High levels of neutrophils (neutrophilic leukocytosis) indicate that there is an infection, inflammation or a given type of leukemia. Abnormally low count of neutrophils (Neutropenia) on the other hand is associated with disorders of the bone marrow, cancer treatment as well as autoimmune disorders. Monocytes - Abnormally high numbers of monocytes (monocytosis) is associated with certain cancers, autoimmune disorders as well as chronic infections among others. Abnormally low (monocytopenia) counts on the other hand are associated with viral infections, certain congenital disorders and autoimmune disorders as well as some antibiotics. Lymphocytes - Abnormally high levels of lymphocytes is known as lymphocytic leukocytosis and is associated with given viral and bacterial infections as well as given lymphomas and cancers. Abnormally low counts or Lymphocytopenia is linked to such viral infections as HIV, poor nutrition as well as autoimmune disorders among others. Basophils - Very high levels of basophils in blood has been identified among those with such conditions as hypothyroidism among other infections and cancers while very low count has been associated with cases of leukaemia, infections, thyrotoxicosis and other hypersensitive reactions in the body. Eosinophils - Abnormally high eosinophils (Hypereosinophila) has been linked to a number of reactions such as parasitic, allergen and asthma reactions. Given that the number of eosinophils can be normally very low (as low as zero) this is not considered a problem. Analysis of urine using a microscope can be used to determine the presence of white blood cells, which helps in the diagnosis of various diseases. At lower magnification, students may be able to see a number of objects including crystals and casts. 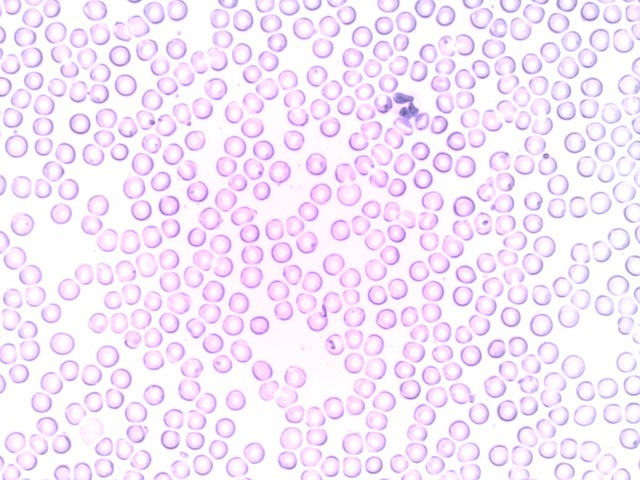 However, at high power, students may see a number of leukocytes. In urine, the presence of high numbers of leukocytes is refered to as pyuria, which is indicative of an infection in the urinary tract or kidney. In most cases, leukocytes present in urine are granulocytes that can be identified because of their lobed nucleus and granules. * Due to lack of staining, leukocytes in urine may appear translucent making it difficult for some students to identify them. Neutrophils - Neutrophils are not only the first line of defense, but are also the most abundant leukocytes. Once released, they circulate for about 10 hours in blood and can remain active for up to 6 days. 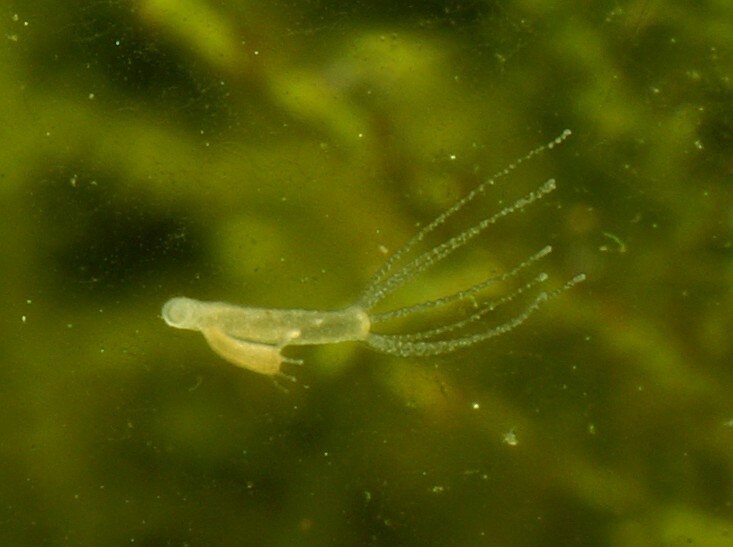 They can identify invading organisms like bacteria through chemotaxis and move relatively fast towards them using a type of movement refered to as amoeboid motion. Under an electron microscope, neutrophils look like they are chasing the invading organism as they crawl among red cells. 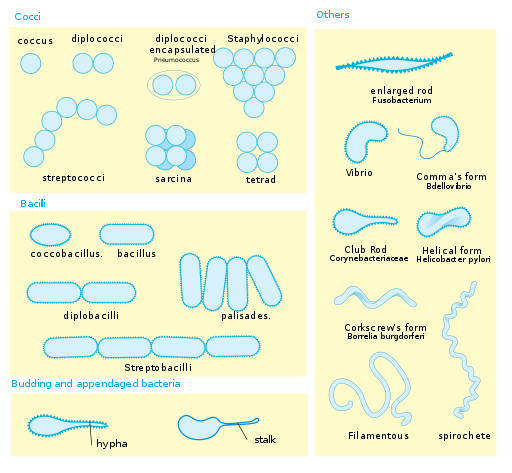 Once they get to the invading organism, they engulf and destroy the foreign organism (bacteria) through a process refered to as phagocytosis. * Neutrophils have also been shown to incorporate actin protrustions and integrin linking adhesion in their movement. Eosinophils - In tissue, migration of eosinophils is controlled by eotaxin-1 (a protein chemoattractant). Here, its migration involves such activities as rolling, adhering as well as transmigration through the endothelium. These processes make it possible for the cells to migrate to specific sites where they are involved in allergic reactions. Basophils - Basophils migrate to barrier tissues where they release inflammatory chemicals (histamine etc) which in turn have such effects as dilation of blood vessels and constriction of smooth muscles.These effects results in such outcomes as decreased blood pressure. Basophils also play an important role an important role in allergic inflammation by releasing pro-inflammatory chemicals like cysteinyl leukotrienes. To reach the inflamed tissue, basophils use three major processes that involve adhering to vascular endothelium, transendothelial migration as well as locomotion through extra vascular tissues. Activator cytokines also play an important role in the random movement of the cells where they move to the site through chemokinesis. Monocytes - Under normal conditions, monocytes use adhesion to move. Monocytes make use of such adhesion molecules as α4β1 integrin (VLA-4), and β2 integrins to adhere to vascular endothelium and reach target sites. 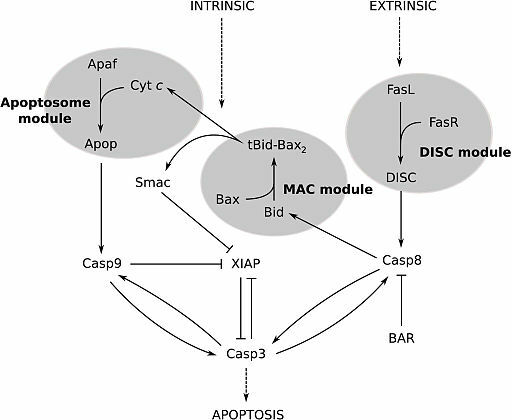 At the endothelial junctions, monocytes squeeze between adjunct cells through diapedesis to pass despite their large size compared to other leukocytes. Monocytes destroy invading organisms such as bacteria and other germs by ingesting them as macrophages. And so, they are capable of transforming into dendritic cells where they process antigen material. This makes it possible for antibodies to identify harmful organisms as destroy them. Lymphocytes - There are two types of lymphocytes; T lymphocytes and B lymphocytes. T lymphocytes (T cells) make up the majority of lymphocytes (80 percent) and are produced in the thymus. Their main role involves destroying damaged or infected cells. Also, B cells play an important role of producing antibodies that target and destroy specific antigen. While the mechanism is yet to be fully understood, studies have shown that chemokines play an important role for adhesion and transendothelial migration of some lymphocytes. Peter J. Barnes, Jeffrey M. Drazen, Stephen I. Rennard, Neil C. Thomson. 2002. Asthma and COPD: Basic Mechanisms and Clinical Management. V. T. Marchesi, J. L. Gowans. 1964. The migration of lymphocytes through the endothelium of venules in lymph nodes: an electron microscope study.